JOMTHAI designs and produces over 12 million sprockets a year for all makes and models of motorcycles and ATVs. 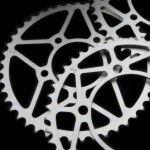 The current range is now over 2,500 types of steel or aluminium alloy sprocket, and many items combine two or more different fittings into one sprocket with production capacity of 1,000,000 pcs. per month and more than 300,000 chains per month. 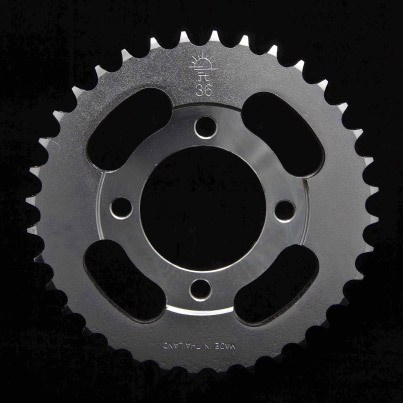 JOMTHAI Steel Sprockets are manufactured using only the finest grade of SAE1049 Japanese High Carbon Steel for the rear sprockets, and SCM420 chromoly steel alloy for the front sprockets. 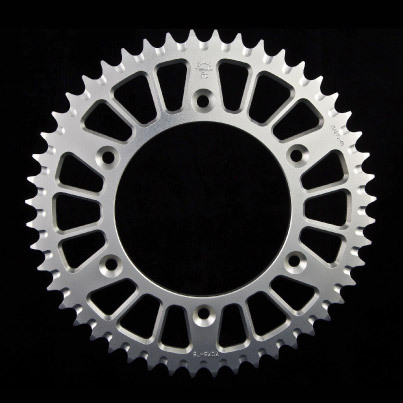 JOMTHAI Steel Sprockets range now contains over 2,500 sprockets for all motorcycles and ATVs. Made from advanced aviation-grade 7075-T6 aluminium alloy, optimal lightweight design and CNC machined for performance and durability all aluminium MX rear racing sprockets are manufactured with a special self-cleaning design, and finished to perfection. 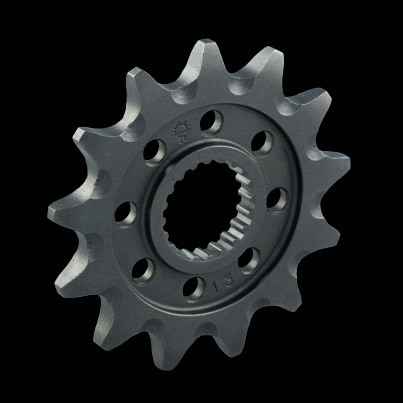 MX-series steel front sprockets are manufactured to exacting tolerances and designed with special self-cleaning grooves for added life and performance. Made from the best chromoly steel and fully heat-treated for maximum durability, the MX range of front sprockets are made for professional riders. 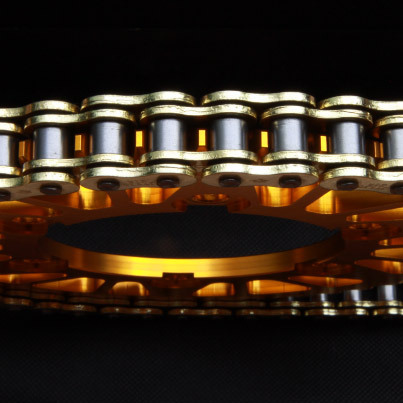 With our leading edge technology and using only the highest grade of special steel alloys, we produce a full range of superior quality motorcycle chains. JOMTHAI chains meet or exceed the requirements of all modern motorcycles, street, MX, enduro, off road and ATV.